Hey Dolls, Yesterday for work, I wore my new Ralph Lauren shirt for a nice casual look and couldn't leave the house with my favorite white sandals from New look... there so comfy!!! I enjoyed my day off with lunch with friend, bit of window shopping and now I'm getting ready to go see the new movie "Lucy" with friends.. Kinda excited because the trailer looks so good.. I might take an outfit photo later! Better get ready dollss :! 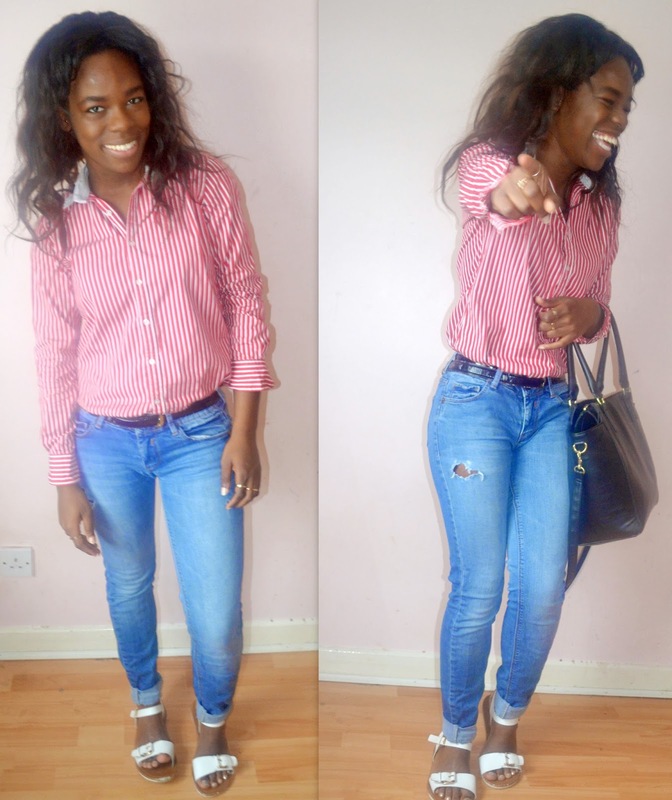 love your RL shirt, love how you've styled it with those jeans!